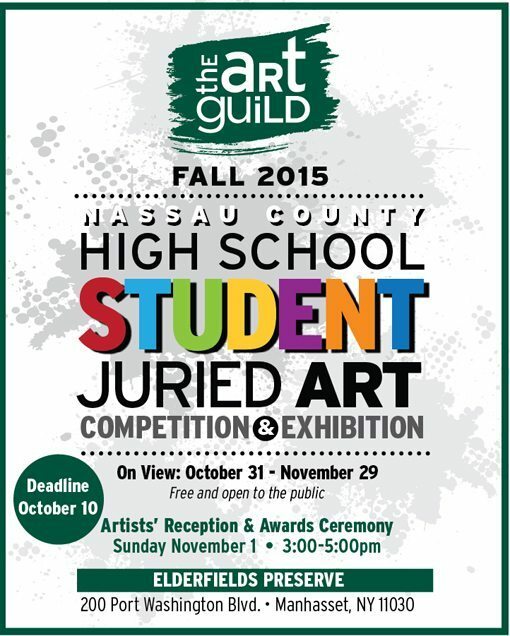 The Art Guild welcomes artwork submissions from all Nassau County High School students for the annual “Nassau County High School Student Juried Art Competition and Exhibition.” All high school students ages 14 to 18, are invited to submit up to two pieces of art for consideration. The deadline for submissions is midnight, Oct. 10. This is a wonderful opportunity for students to exhibit their work in a professional gallery setting. The show will be on view at The Art Guild’s home, Elderfields Preserve, 200 Port Washington Blvd., Manhasset, from Saturday, Oct. 31, through Sunday, Nov. 29. Gallery hours are Saturdays and Sundays from 1 to 5 p.m., or by appointment. An Artists’ Reception and Awards Ceremony will be held on Sunday, Nov. 1, from 3 to 5 p.m. The Juror-of-Awards for the show will be announced. 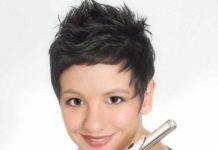 For more information, registration form, or to register online, visit The Art Guild’s website at www.theartguild.org. Last year, The Art Guild selected 60 works from more than 100 submissions by high school students throughout Nassau County. 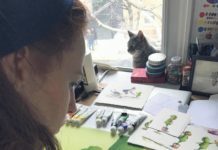 The Art Guild encourages aspiring artists of all ages to take a class, participate in an exhibition, come to a lecture, volunteer time, attend a workshop or setup an easel on Elderfields’ grounds and paint. 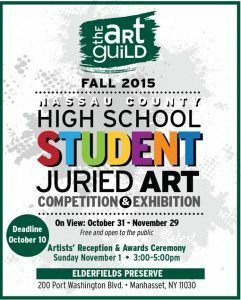 Check The Art Guild website, www.theartguild.org, and Facebook page for information about their programs and events. For more information, call 516-304-5797. The Art Guild, a nonprofit organization, is located at Elderfields Preserve, 200 Port Washington Blvd., Manhasset.